George Lynch, originally the guitar player for Dokken, is a man that apparently likes to have lots of irons in his fire. Not only has he started up his own Lynch Mob gang once again, but he also recently released albums with T&N (Slave To The Empire from 2012, that also features Jeff Pilson (bass) and Mick Brown (drums) from Dokken) and KXM (with Dug Pinnick of King’s X and Ray Luzier from Korn), he will also soon release the debut album from Sweet & Lynch, a band he started with Michael Sweet of Stryper and also contains James Lomenzo on bass (White Lion, Pride And Glory, Megadeth) and Brian Tichy on drums (S.U.N., Whitesnake; Pride And Glory). In the past we also find that he has released no less than 12 solo albums (however three of those are live albums and two of them are E.P.s) of which 1993’s Sacred Groove is the most famous one, and one really underrated album with Lynch / Pilson called Wicked Underground in 2003 and the underwhelming project Souls Of We (Let The Truth Be Known, 2008) with Brides Of Destruction singer London LeGrand. But is with Dokken and Lynch Mob George is mostly famous for and there are still plenty of us that keeps our fingers crossed for a full-scale Dokken reunion. I doubt that will ever happen, though. George Lynch has always been a brilliant musician and I still get goosebumps by listening to some of his work. However, time has shown that George has a thing for following trends and together with Tommy Lee he has to be the most bandwagon jumping musician of the 80’s. When Dokken released their second reunion album Shadowlife (1997), it was ruined by Kelly Gray’s grunge production and almost all the songs pointed in that direction. Don Dokken apologised and said he would pay back the money to disappointed fans himself. The blame fell on George who left the band shortly after. Judging by the look of George around that time, it wasn’t a wild guess that he was the one behind the musical change. But more so, when you listen through Lynch Mob’s past, you’ll find bandwagon jumping like never before. Both Lynch Mob’s first albums, the magnificent Wicked Sensation (1990) and the self titled follow-up from 1992 were both a sign of the times musically and visually and contained music that Lynch started out playing, but their come back album from 1999, Smoke This, was full of rap-metal and a whole new line-up. Guess what was popular in 1999. However, the album most Lynch fans sees as the true come back album was when George reunited with original singer Oni Logan and recorded the album Smoke And Mirrors in 2009. Marco Mendoza (Whitesnake, Thin Lizzy) had filled to bass space for Anthony Esposito and Scot Coogan (Brides Of Destruction, Ace Frehley) had taken the place behind the drums instead of Mick Brown, so it wasn’t a real Lynch Mob reunion we got. The album was good, no more no less and it actually left me a bit underwhelmed. I thought it lacked both structure, direction and high quality songs. 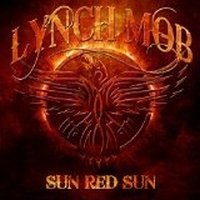 Therefore, after all the mess Lynch has been in musically with all his projects, I found it hard to raise any expectations when Lynch Mob once again releases an album together with Logan, who left the band shortly after the last record. This time, Coogan was still the drummer, but they had a new bass player in Robbie Crane (Vince Neil, Ratt, Adler’s Appetite, Black Star Riders). To be frank, the first listen of their new album left me completely cold. I didn’t hate it, but not one song stuck in my mind afterwards and the songs felt uninteresting while I listened to them. But, I always give albums at least two listens before the final judgement and the second time, through my earphones, I hade a change of mind. Opener “Believers Of The Day” is really good. It’s a melodic hard rock song with its feet in the 70’s, but I hear a mix of Gun and The Cult in there and influences that comes across as almost gothic. Very cool. “Erotika” has one hell of a groove and the song is unpredictable in a real cool way, it doesn’t go where you might expect it to. It might not stick with first listen, but it grows on you quite fast. A cover of Bad Company’s “Burnin’ Sky” follows, but unfortunately it leaves me underwhelmed. It’s an ok cover but it hardly adds anything to the original. “Play The Game” is a bit of mystery as well. It’s a track that could have been great, the killer verses builds up to a chorus that should nail it, but unfortunately the chorus falls flat and goes nowhere. “Subliminal Dream”, on the other hand, is a classic hard rock tune with an addictive groove and a melody to die for. The title track is the album’s magnum opus. It’s a grand ballad on an acoustic foundation, not a far cry from how Led Zeppelin used to write them. The song is a tribute to Lynch’s old friend Ray Gillen (Badlands, ex-Black Sabbath) who had a song called “Sun Red Sun” on the Badlands album Dusk (1998) and that was also the name on the band that Gillen started after Badlands fell apart. Ray Gillen passed away in 1993 of an AIDS related disease. The rest of this album consists of remastered tracks from the 2012 E.P. Sound Mountain Sessions which actually makes this new album a compilation of two E.P.’s. “Slow Drag” is a good song that has the Zep influence and it actually sounds more like Badlands than Lynch Mob and “World Of Chance” is a big, heavy ballad – no cheese – that sounds like classic Lynch Mob with big influences from both Zeppelin and Beatles. The two other songs, “City Of Freedom” and finishing “Sucka” are fillers, I’m afraid. This album was a pleasant surprise, however it does not go all the way. There are too many fillers and I do miss the characteristic Lynch sound, the kind of sound that he brought in with both Dokken and his own early Lynch Mob records. This album has a bit too much of a standard hard rock sound. That said, George Lynch is still a fantastic guitar player with his own distinctive sound and Oni Logan still has the voice to match. Fact is, Logan happens to be one of my favourite singers. Just check out his criminally underrated solo album Stranger In A Foreign Land (2005). And it’s hard to go wrong with a rhythm section like Crane and Coogan. But if I compare with the later Lynch Mob releases, this is huge leap forward and it clearly shows a band on its way up again. In this case, looking back to their early 90’s will probably be good move. Not to make 1990 sounding music, but to pick up the little things that made the Lynch Mob sound. Doing that would have given this album at least another point. Agreed, this one doesn’t capture the magic that was Smoke And Mirrors nor certainly not their heyday. That said like you say there’s some winners here, just not a complete album (EP) worth (rounding out the EP with remasters??? of the Sound Mountain Sessions doesn’t make for an album. Appreciate getting those tunes to those who don’t have em but for fans like this one, no need to pad the EP out with stuff have already bought). Those wins are the killer opening cut, Believers Of The Day which is all kinds of cool and Subliminal Dream which also lives up to the hype of their yesterdays, and gotta say as lyrically simple as it is, the title track Sun Red Sun, Oni’s delicate ode to the great late Ray Gillen is magical, both Oni and Lynch deliver a moment right there and round out the EP proper beautifully. You gave it one point more than I did. Well, my problem is that I think that Wicked Sensation was such a brilliant album and I have a tendency to compare everything George does to that album. Also, the guy was responsible for helping to create melodic hard rock gems like Under Lock And Key and Back For The Attack with Dokken. Sometimes your past can be both a blessing and a curse. Just ask Joey Tempest….